When a story comes along and raises the bar of a genre with a new concept that no one had yet to introduce, that genre tends to be popular again. 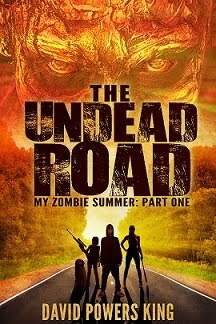 And with the advent of The Walking Dead, the industry jumped at the chance to contribute something new in the wake of an ever-growing audience, such as adapting books into movies (Warm Bodies, World War Z), or the creation of new books (my WiP is called The Undead Road, so I'm clearly a part of this guilty-pleasure party). And the gaming world is no exception, and Naughty Dog, who gave us classics like Jak and Daxter and Uncharted dared to take The Walking Dead head on with their own spin on the zombie. They did just that in a manner that I never would have guessed. I've never played a more perfectly constructed, beautifully-paced game that has as deep a storyline or is as powerful as this one. I shed man tears. 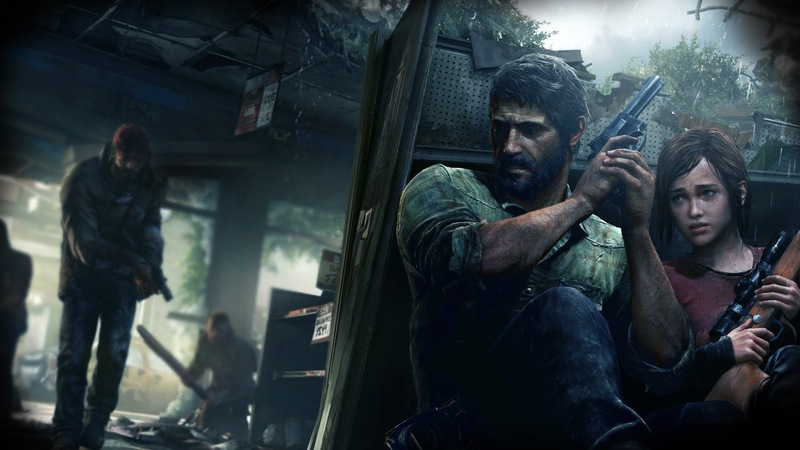 Some are going so far as to call The Last of Us "A Masterpiece." If you haven't played this game but intend to, SPOILERS AHEAD. If you hate zombies and would never play this, I'll give you the rundown on why this may be such a game-changer to story-based gaming. In the not too distant future, Joel comes home from work and puts his daughter to bed, not knowing that an outbreak of unspeakable horror is about to consume mankind. The military are called in to contain the outbreak, including the killing of the innocent uninfected, which eventually claims Joel's daughter. 20 years later, the world is in ruins and overrun with infected, and those who managed to survive face a harsh reality in police-state quarantine zones in the cities and cannibalistic bandits in the country. No place is safe. Killing another in order to survive is commonplace, a way of life, and those unfortunate to be born have no idea what a normal society is. 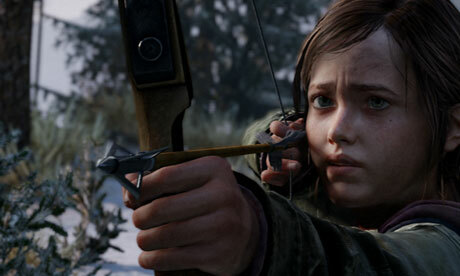 Then Ellie enters the picture, an infected girl who is immune. Any chance of making a vaccine lies in her - unless her strong personality gets her killed. Joel reluctantly takes Ellie across the united states in hopes of finding a rebel group who can use her to find a cure for mankind. Journeys have a way of changing people, as they are both about to discover. The central character here is Joel, a man who has had rotten luck his whole life. When this daughter, the one thing in his life that was right was taken from him, he struggled for 20 years with this lose and never found a reason to care about anyone except himself. But then, when Ellie enters the picture, she reminds him so much of his daughter that he can hardly stand it, but if man is to survive, it's up to him to keep her safe. They don't get along at first - not by a long shot. With a hot temper and a foul mouth equal to Joel's, it's a miracle she's alive. More so since she's infected. There is a fungal spore that travels in the air. When breathed, the fungus grows into the brain and destroys what makes us human. They aren't interested in eating you - more like rabid animals wanting to destroy anything that moves. The longer they are infected, they become sub-human, called Clickers, using sound to see, as bats do - and they are harder to take down. Then, as they struggle to survive and learn to work together, these two create an unspoken bond, the likes of which I haven't seen since Léon: The Professional. Every place they go has a morbid beauty to it, from rundown buildings to tall trees growing in football fields. You also have to salvage supplies wherever you go. You don't just pick up health kits - you MAKE them. You even have to pause and hunt for food and water sometimes. This game is like a survival simulator! Developers accurately depicted real locations, including Boston, Eastern Colorado University, and Salt Lake City, something I have always wanted to hypothetically see. What would it look like in the event of a zombie apocalypse, as it is the biggest city near me? My draw dropped, it was beautiful, and I was shocked that no off-handed comment or slur was said about the religious demographic - like toast without butter, it seemed odd since every other story that involves Utah HAS to do this. Gets old fast. 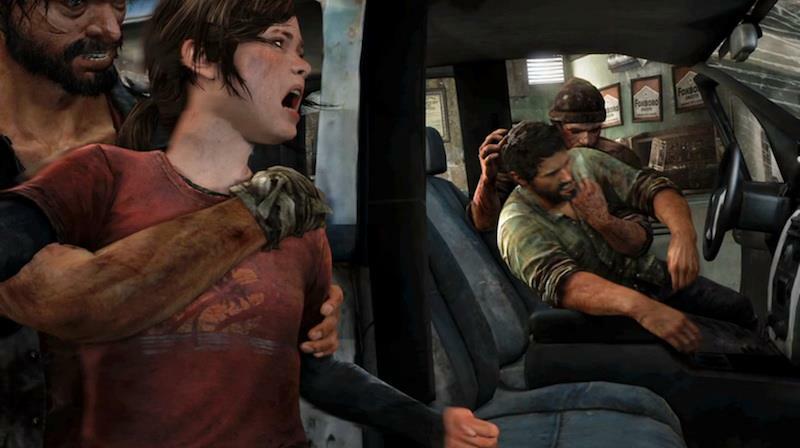 Thanks for keeping it classy, Naughty Dog. Another thing that sets this game apart from other zombie stories is that there's no Rambo shoot'em-up. You're stealthy most of the time, and you actually end up taking on more normal people than infected. The level of desperation humanity has sunk to seems unbelievable, but who can predict what this envirnoment will do to people after 20 years? It's downright scary, more than any infected you'll come across. At least they are predictable. And seriously, one false move and you're dead. The enemy is smart and can track you down and outflank you if you're not careful. One split second really makes a difference in whether you survive this game or not, but thankfully, not everyone is an enemy. There are pockets of good people who believe a second chance is coming. What makes this an "important" game, you ask? Never has a story with deep psychology for EVERY character been achieved in this way. Who hasn't played the "what if" game. What if zombies happened? Some might say they are prepared. We've seen enough movies to know what weapons to use and how much to ration - and it's going to be gross - but no, it runs deeper than that. BIG SPOILER. When Joel gets Ellie to SLC, the rebel group tells him, in order to extract the fungus, they have to do surgery that would kill Ellie. This must be for Mankind to survive. Mankind caused this outbreak. Mankind caused the death of Joel's daughter. Mankind took this friends and ruined the world. Now that he's found something to live for again, to believe in, he cannot stand the thought of "Mankind" taking anything else away that is dear to him. Why should "Mankind" have a second chance when it is not fit enough to live? Joel could care less about "Mankind's" survival. It's HIS survival that's at stake. So what does he do? 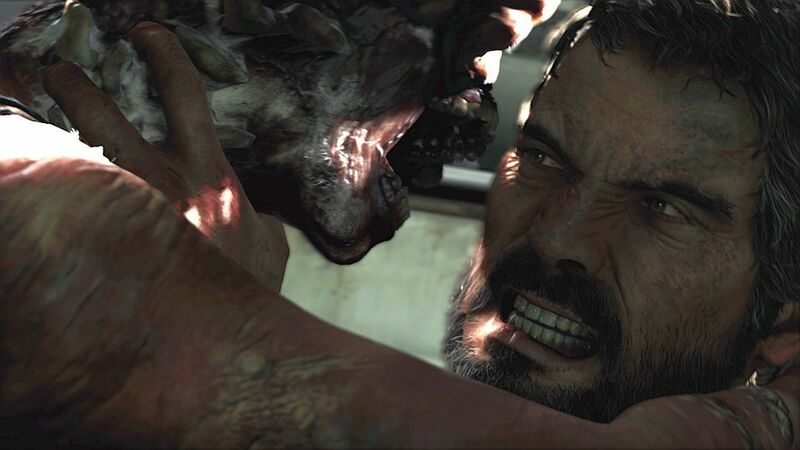 Joel enters the operating room and saves Ellie - killing all who stand in his way. As the player, this wasn't easy for me. Would I really do the same thing in his shoes? Is there such a thing as murder in a world without law, or is survival the new law, physically, mentally, spiritually? While saving Ellie, you find notes and recordings that they extracted other immune people, killed them, and were unsuccessful at a vaccine. Would Ellie be any different? Why kill her and fail when she could live her life and see what nature has in store for her? This is what Joel rationalizes, and it poses a question to you, the player. Survival can bring out the worst in people, so where would you stand if you had to survive? Could you live with your choices? Would you be ready? I can't answer these questions, but they're worth asking, and this is a game that allows you to explore these questions to better find out who you would be in the event of a survival situation and give you the means to alter that course and do what is right, if need be. This, The Last of Us, is the most human zombie game I've seen. What are your thoughts? Is this a game you would be interested in playing? What would you do in the event of an zombie outbreak? 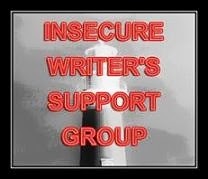 Note: as much as I enjoyed this story, the content is pretty tough to handle if you have a weak stomach, and it has language that was difficult to tolerate. I would not recommend this game for kids. Amazing graphics. Tough moral decision as well. Does one life justify a lot of death? I hope to never be in a situation to find out. I agree with Alex--excellent graphics. I'm not much of a gamer, but this definitely sounds intriguing! This was a beyond amazing game!! 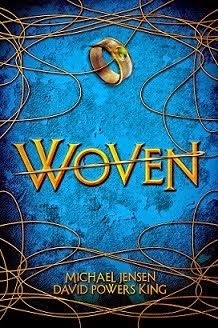 My husband and I loved it. He plays them and I love to watch the story unfold. Seriously great stuff!! I don't have a game system to play this on. Can't you choose to let the rebels kill her for a cure? It seems annoying if I'm locked into choosing to save her. This sounds like it would make a great book, but I'm not a gamer, so it's hard for me to grasp how you must play the game a specific way, with the plot already established for you and your character's decisions already made. Tough choices whether in gaming or real life have to be made. I'm not a gamer either. 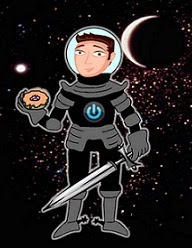 I'd like to play fantasy games for book ideas but there isn't enough time in the day. Thanks for sharing about this one. Sounds like an amazing game. I'm not a gamer, but I just finished reading World War Z and am all about zombies again. This review makes me want to play games. Glad they kept the class level up, too. 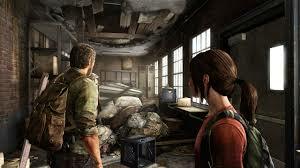 I think The Last of Us maybe the best zombie thing in any media. This is the kind of think I would have liked to have seen in World War Z or The Walking Dead. Sounds like a thinking game, and I like the idea of it, even though I'm not a big gamer! What a tough decision for Joel. I think it makes sense in the context of his character. I love it when a game is so involved and the creators make the effort to think about the psychology/motivations of each character. Makes them so much more realistic. I'm not a gamer. I haven't played a game since Mario Brothers, seriously. 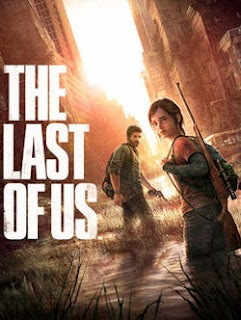 But when I see the advertisements on Hulu for The Last of Us, even I want to buy it. Interesting. I am not into video games, at all, but the way you describe it, the questioning is most appealing. Would I save Ellie despite "Mankind"? First answer that comes to my mind is yes. Amazing but yes. Of course I'm right now sitting in the comfort of my cave and no zombies around and no mankind fate on my hands, so it's a little reliable answer. I've proved many times that what you decide while in the calm of your home and what you truly do when things get hot is often not the same, at all. Wow. I'd never get hubby to play this, and a moral dilemma like that would be a tough one. But I love stories that challenge us in this way. I saw posters for this game and wondered if it would be any good. From what you are saying, it is amazing. Do you ever get to play as Elle? Or is it all from the main character’s perspective? I love zombie fiction, movies and games, so this might be something I would love to play. Thank you for the insight. A truly remarkable game. I'm currently on my second playthrough. Opted to put New Game+ on hold and play on Survivor Mode. The difference between Hard and Survivor is subtle at first, but astounding as you progress. I love it.